When you live in Heritage Grove, you're getting a home designed to maximize your quality of life that's built to be a cut above the rest. 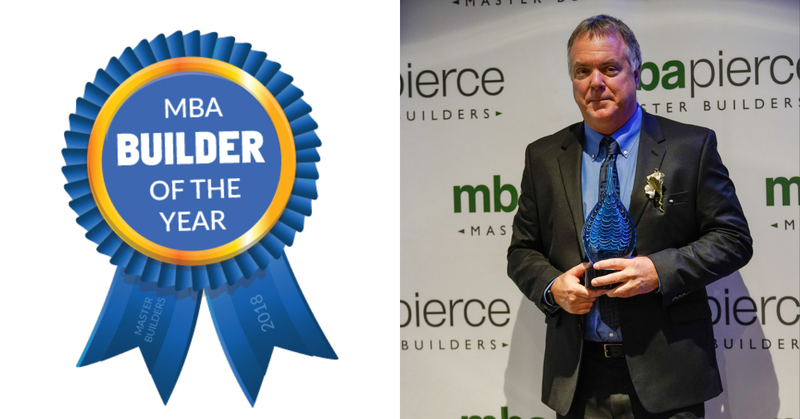 Named the area "Builder of the Year" Rush offers more high-quality standard features than any other area builder, Heritage Grove is the ideal community to create family memories in. ... All you need to do is move in! The Cedar - Our Model Home! 2,774+ sf, 3-4 Bedrooms - The Cedar plan is also our model home, visit in person! Home Site #1 our decked out "Builder Model" is Available: View the full MLS Listing for pricing and photo gallery. Home site #37: The Rosewood 2,911 sf, 4 Bedrooms. View the full MLS Listing for photos and pricing. Home site #38: The Rosewood 2,911 sf, 4 Bedrooms. View the full MLS Listing for photos and pricing. 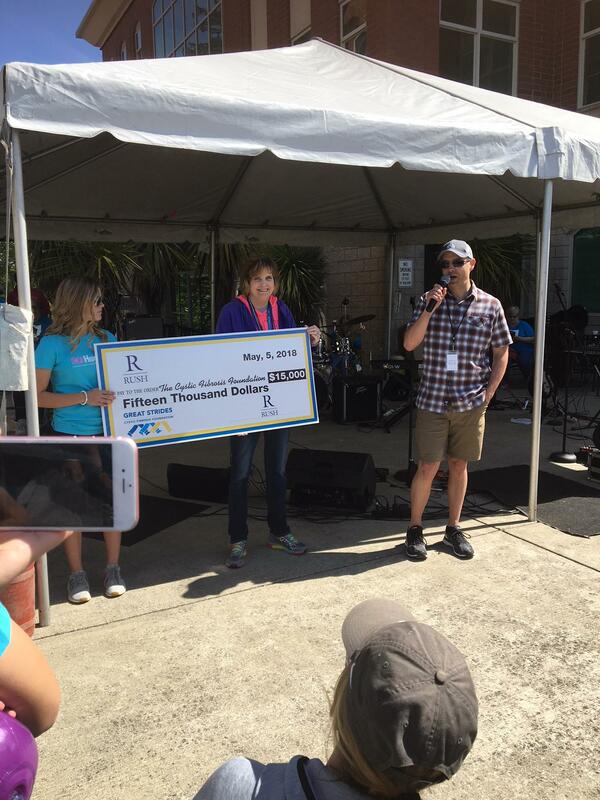 The Rainier - 3 Car Garage! 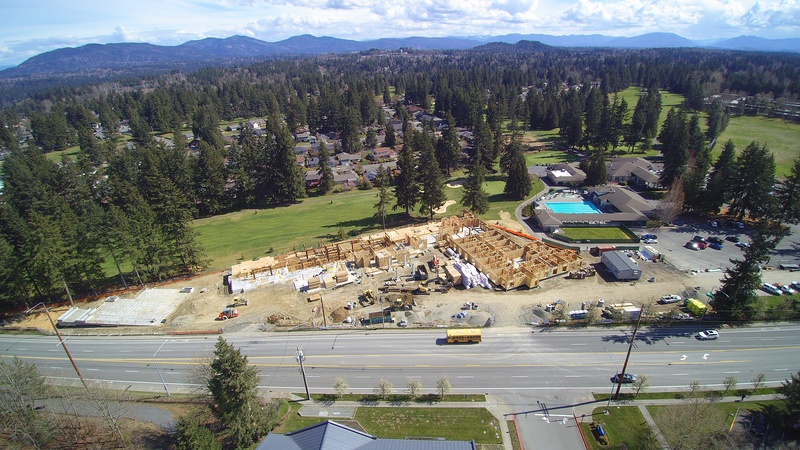 Home site #17: The Rainier 2,245 sf, 3 Bedrooms & 3 Car Garage! The Maple - 3 Car Garage! Home site #29: The Maple 2,858 sf 3-4 Bedrooms. 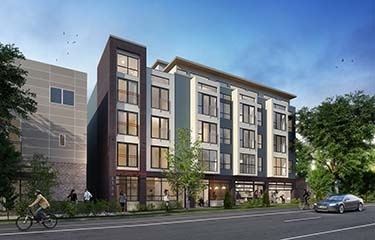 The Ponderosa - Master on Main! Home site #32: 3,184sf, 4 Bedrooms, 3 Bathrooms, Den & Huge Bonus/Game Room. View the full MLS Listing for a photo gallery and pricing. View Ponderosa Floor Plan here. Home site #21: 2,253 sf, 4 Bedrooms, 3 Baths, With Loft. View the full MLS Listing for a photo gallery and pricing. View Ashby Floor Plan here. Home site 43: The Aspen 2,698 sf, 3-5 Bedrooms. View the full MLS Listing for photo gallery and pricing here. View Aspen Floor Plan here. 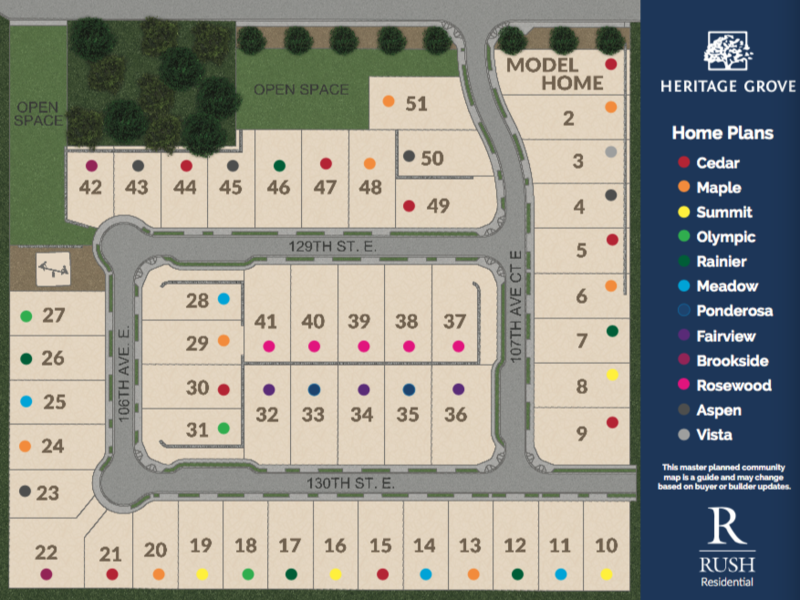 Heritage Grove features territorial views in an an optimal South Hill Puyallup location. This thoughtfully designed community offers inviting, personalized family homes close to everything South Hill has to offer. Including excellent Puyallup School District schools, major employers, Joint Base Lewis-McChord, I-5 & Hwy 512, a reverse Seattle or Bellevue commute and many conveniences. Our standard features are superior to other area homebuilders. Many of which are behind the walls providing you a sound structure to call home for years to come. Others are visibly obvious. When you walk in a Rush community you feel how things flow. Our interior designers spend months planning the finishes in each hone. Tile, countertops, flooring, milwork, lighting, flooring and paint all work together throughout the entire home. We choose high quality (from the foundations to the roofs) produts and take pride that every step of each home is built with integrity. We build higher quality homes so we can deliver homes that create an exeptional place for our Rush Families to call home for years to come. View our impressive list of standard features, included with every Rush Heritage Grove home. 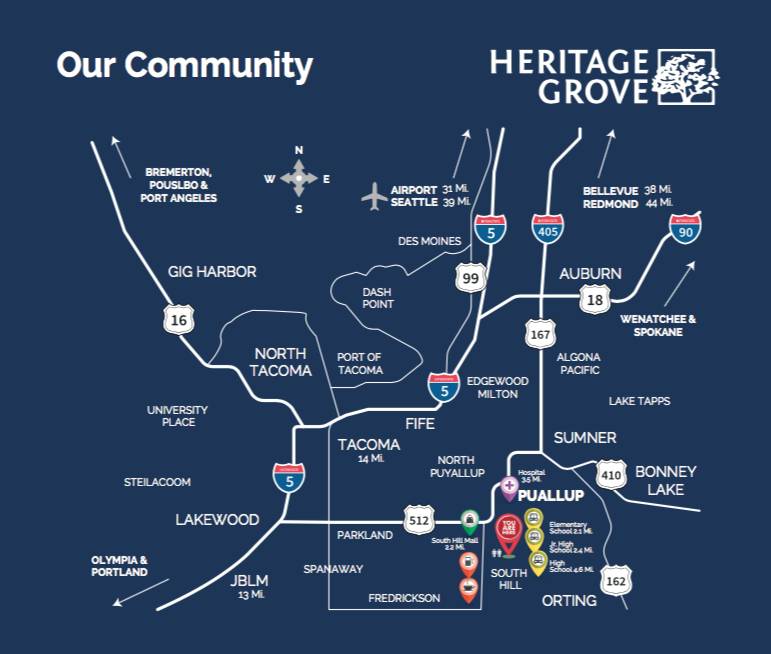 Within minutes of the area's most desireable public schools, Heritage Grove is located within the Puyallup School District. Enjoy living within minutes of the two premiere shopping centers in Puyallup - the South Hill Mall and the brand new Sunrise Village shopping center. Offering esteemed retail, fitness, beauty, and dining, the shopping center is the perfect stop for anything from quick errands to all-day recreation. Local grocers include Safeway, Albertson's, Target, Costco and the local favorite Tacoma Boys. From a family day at South Hill Park, local lakes, an afternoon of shopping, or a night at the movies there's plenty to do right in your own neighborhood. Take a 20 minute drive to Tacoma to enjoy a variety of live entertainment, museums, a zoo, family events, and eateries. Head 30-40 minutes north to Seattle or Bellevue for loads of recreation and activities. Best of all when you live in Heritage Grove you're based in the beautiful Pacific Northwest, with endless access to outdoor adventures. When you live in Heritage Grove, there's no shortage of restaurants close by. Indulge in all of your favorite cuisines at one of many Asian, Italian, or Mexican restaurants, or grab a heartier meal at a steakhouse. 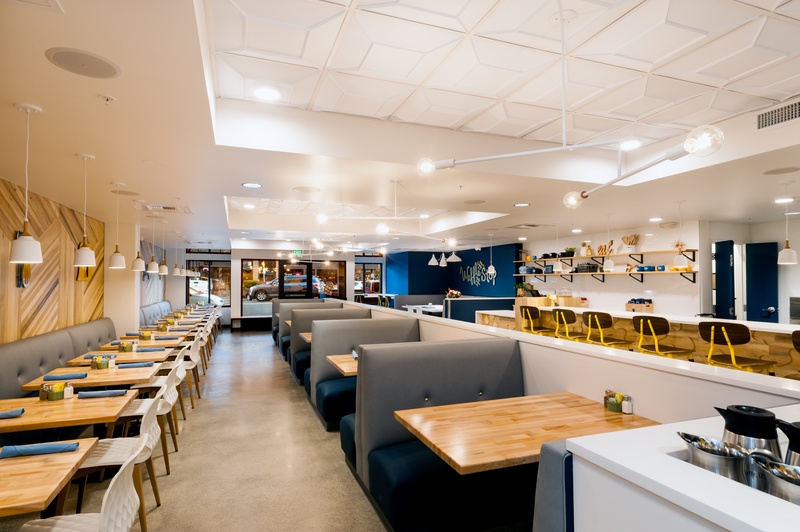 Featuring a variety of national brand and locally owned eateries, you’ll be a short trip away from cozy date nights or a big meal with the family. This printable community service guide lists contact information for schools, utililities, first responders, the HOA and more. Download it here. Our model home is open 7 days a week. Contact us below to schedule a tour when it is most convenient for you.